Sign up for Broadjam today to follow Jay Regan, and be notified when they upload new stuff or update their news! 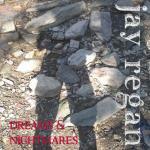 Jay's debut CD, more acoustic based rock and lots of good songs here, 17 tracks. 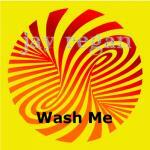 2017's Wash Me is Jay's 2nd original music CD. It is generally rock based but touches a number of different styles, southern rock, modern rock, R&B, and folk rock. who the heck are we fighting for? what the heck are we fighting for? an I in a dream? if you want to survive.